There is a range of bespoke building extensions that can be installed on any property in Cornwall. E H Reynolds & Son will always discuss your requirements, advising you throughout the design and construction of any property extensions. We want to transform every home and our bespoke building extensions are just one of the ways this can be achieved. In addition to our bespoke building extensions in Cornwall, there are a number of other property construction services we have available. We will work as new build contractors and also offer renovations and alterations to restore the original condition of your existing property or upgrade your current interior. We work with our clients in Cornwall across the entire project, ensuring bespoke building extensions are completed correctly and always meet your design requirements accurately. Whether you just require advice with construction, help gaining planning permission or management of your entire construction, our team will meet expectations, giving you bespoke building extensions in Cornwall. You can always make home improvements, regardless of your current property condition. If you are unhappy with the standard of your property of the features you have available, extensions can always be made to give you the luxury features you desire. As our team also work as new build contractors, we can construct properties with any design requirements, building a dream home from scratch. We will also advise on a number of architectures to help you create an accurate design for all construction. Once your design brief is complete for building extensions, we will always pay great attention to detail and gather a good understanding of the design, leaving you fully satisfied with the final project. Your design will always be followed perfectly for any building extensions, giving you the chance to create a modern and stylish interior and exterior for your home in Cornwall. At E H Reynolds & Son, we have a team of fully qualified contractors available for all bespoke building extensions in Cornwall. Being fully trained and using the latest industry methods, We are always well equipped for any project and as a customer-focused, family run business, we want to leave you fully satisfied with any construction work. Having provided our services in Cornwall since our establishment in 1946, this is an area we love to work in and somewhere we can offer a fast response to our clients, ensuring a quick consultation can be made. With over 72 years of experience in our business, we have built a fantastic reputation for the high standard of service we have completed in Cornwall. We aim to continue growing this reputation and become the first choice for all clients located here. Health and safety guidelines will be met on every project and you can be assured of a safe construction. 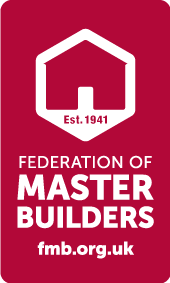 E H Reynolds & Son are members of the Federation of Master Builders and NHBC. In addition to this, we have public liability insurance, risk employers insurance and a waste carriage license. If you would like to discuss the bespoke building extensions we can complete in Cornwall do not hesitate to contact our team. You will be advised regarding all the services we have available, before selecting the perfect option for you and your property. Call us today on 01326 563611 or 07887 600414 or fill in our contact form to make an enquiry. We are a small local building firm that was established in 1946. Originally started by my grandfather, we have grown to employ at present 7 qualified tradesmen. All work is personally overseen by me - Chris Reynolds, the Proprietor - and I have been in the building industry for over 30 years. We have many clients who are happy to supply references and we cover a large area approximately 25 miles radius from Helston. Fore more information on the services we can provide please do not hesitate to get in touch with us, we will be more than happy to discuss all your needs in detail.